Ocean Sonics makes instruments that gather underwater sound. Based on the shores of the famous Bay of Fundy, Ocean Sonics is an innovative ocean engineering company that designs and builds digital hydrophones, projectors and support hardware. Our goal is to provide the best quality hydrophones available anywhere and to provide the best service to our users. 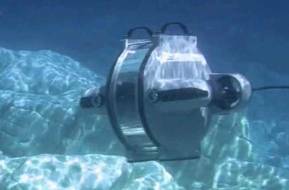 The company’s flagship product, icListen, changes the way people think about subsea acoustics. All the analogue & digital electronics, telemetry, battery and memory are combined into a complete compact hand held instrument. This helps ensure highest possible signal performance and long-term calibration. The icListen Smart Hydrophone can be used as a datalogger, digital hydrophone, or both. Unique in the industry is the instrument’s ability to process and store the data according to the user’s needs. For example, selectively storing of time-series or spectral data based on user configured events that look for energy within certain bands. What this means is that the user can choose how the data is to be collected. The instrument also produces a meta data file as the data is collected, simplifying post-processing. The icListen can send short messages over its data link, or via a radio, when events begin and end. Additionally, storing of time-series and processed data can take place at two different sample rates. The high dynamic range of the instrument eliminates the need for gain settings, ensuring the data is optimally collected. Multiple icListen Smart Hydrophones can have their PPS Sync line connected, synchronizing them to less than 1 usec. This lets the user treat the group as a single multichannel instrument. The PPS Sync can come from a GPS, or Smart Projector too.